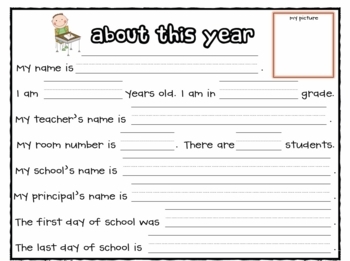 As the end of the school year approaches, help students reflect by creating their very own school memory book. 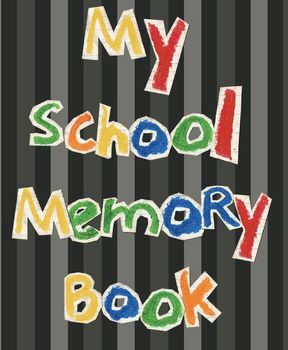 This memory book includes an About this Year page, My Favourite Things, My Favourite School Lunch, My Favourite Recess Activity, My Favourite Subject, My Favourite Book, My Favourite Class Activity, My Favourite Field Trip, IÃ¢ï¿½ï¿½ll Never Forget WhenÃ¢ï¿½Â¦, the Funniest Moment, Special Letter to My Teacher, What a Friend, Next YearÃ¢ï¿½Â¦, and an Autograph page. There are 17 pages in all. As students (and teacher) anticipate summer break, start wrapping up the year by writing about the journey.